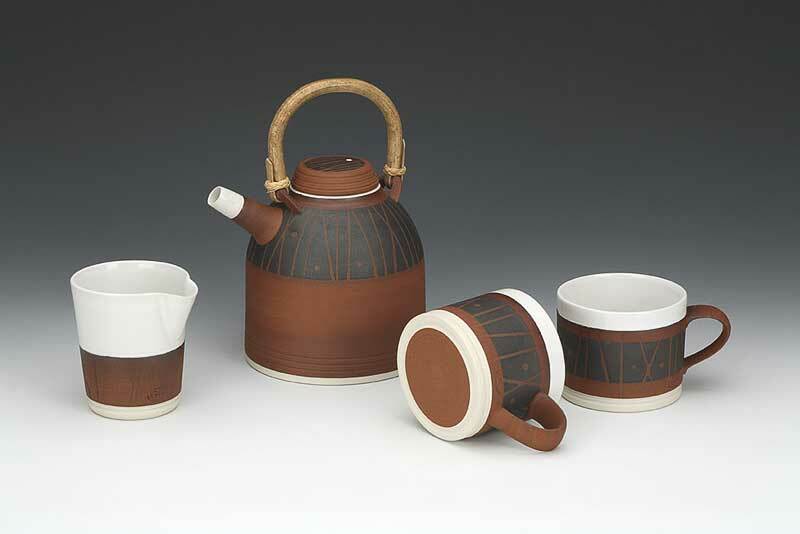 Jennifer’s ongoing aim is to develop a comprehensive range of pots that enliven the daily rituals of taking nourishment. 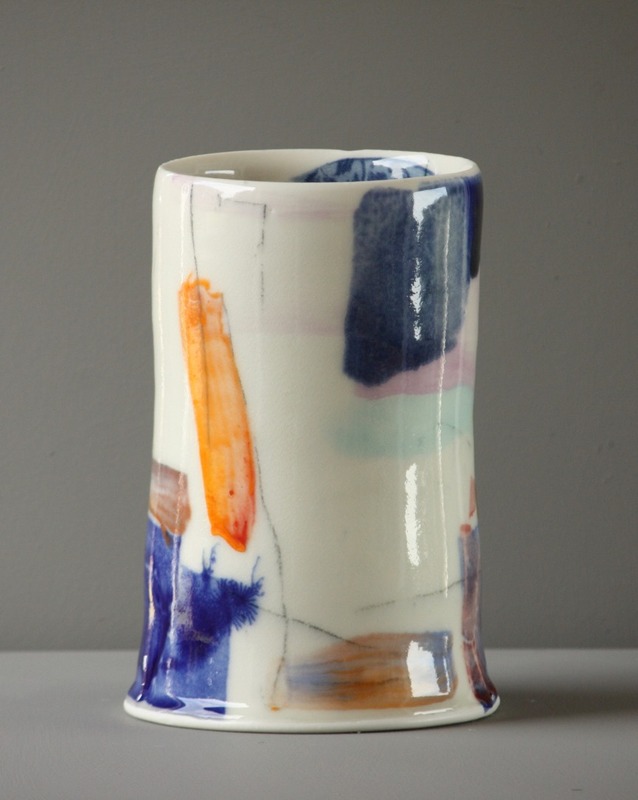 Jennifer is drawn to earthenware for its warmth of colour and softness of edge. 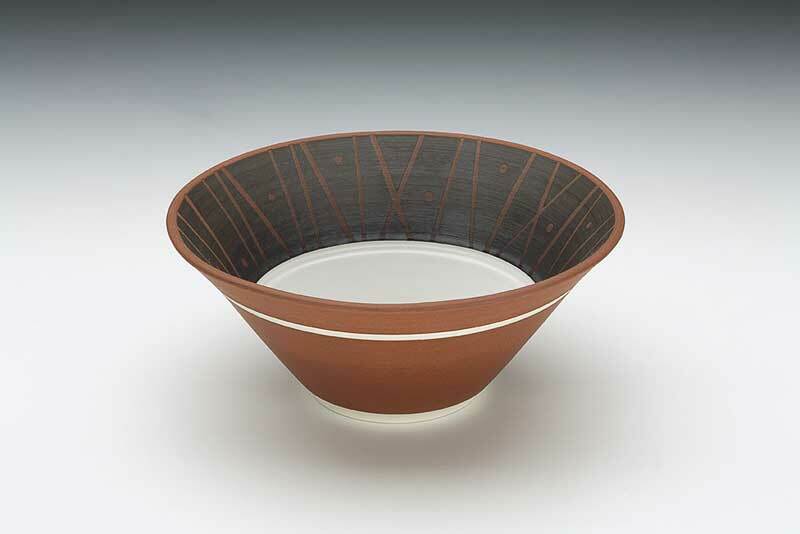 Thrown on a kick wheel, slip is then brushed, poured, dipped, trailed and sgraffitoed on the pots. They are bisque fired then gazed with a non-toxic lead glaze and fired to 1060 degrees. 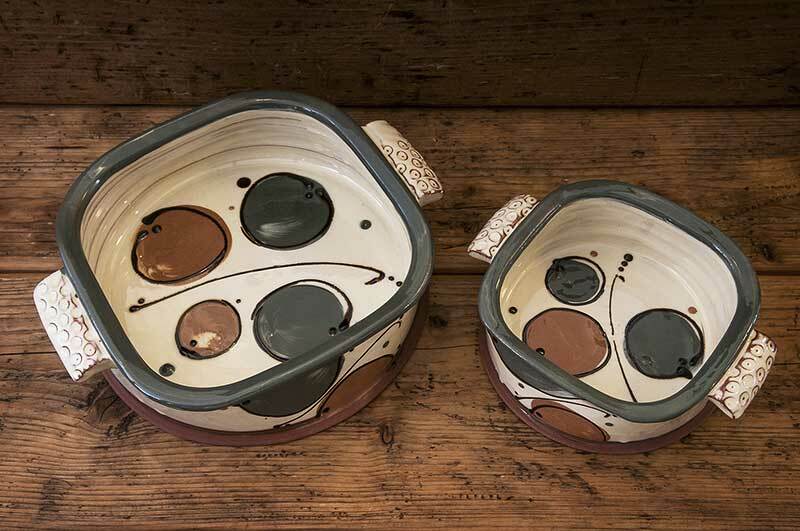 Her pots do not challenge but give comfort, they appeal to the eye, sit comfortably in the hand and are gentle on the lips, enriching meal times. 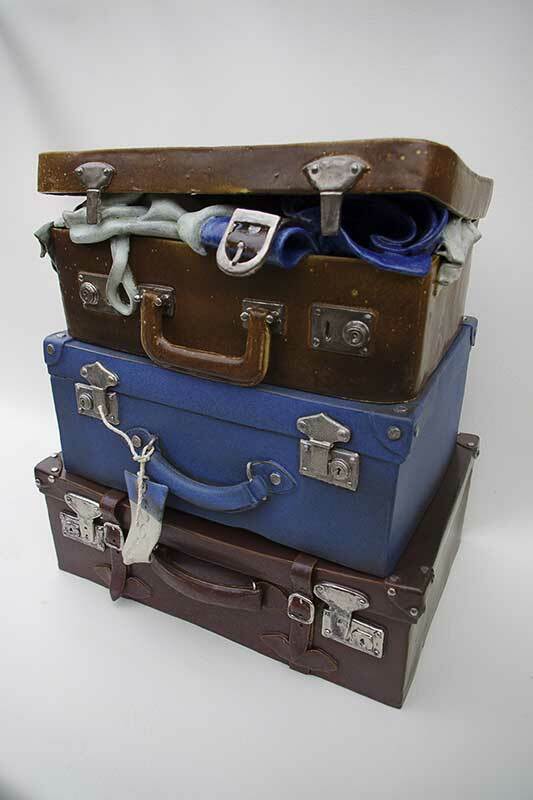 I make trompe –l’oeil sculptural work such as bags, shoes and boxes of bric-a-brac. 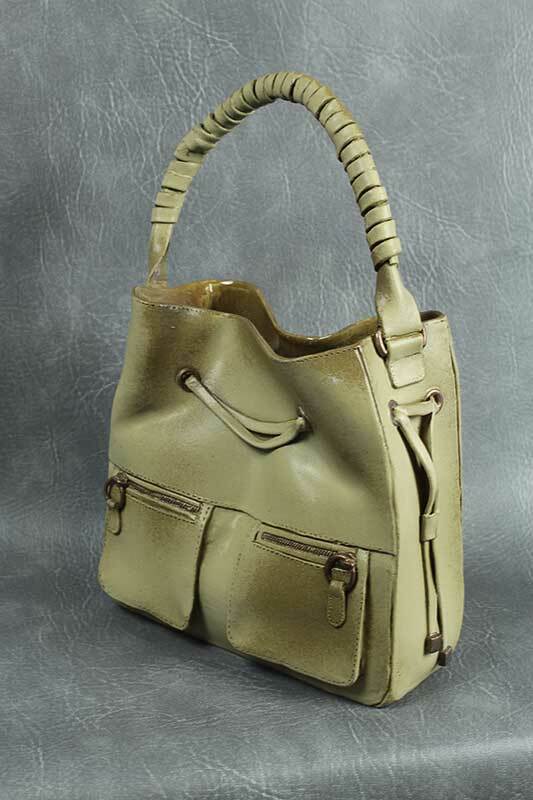 The work is hand built from slabs with modeled details in stoneware. 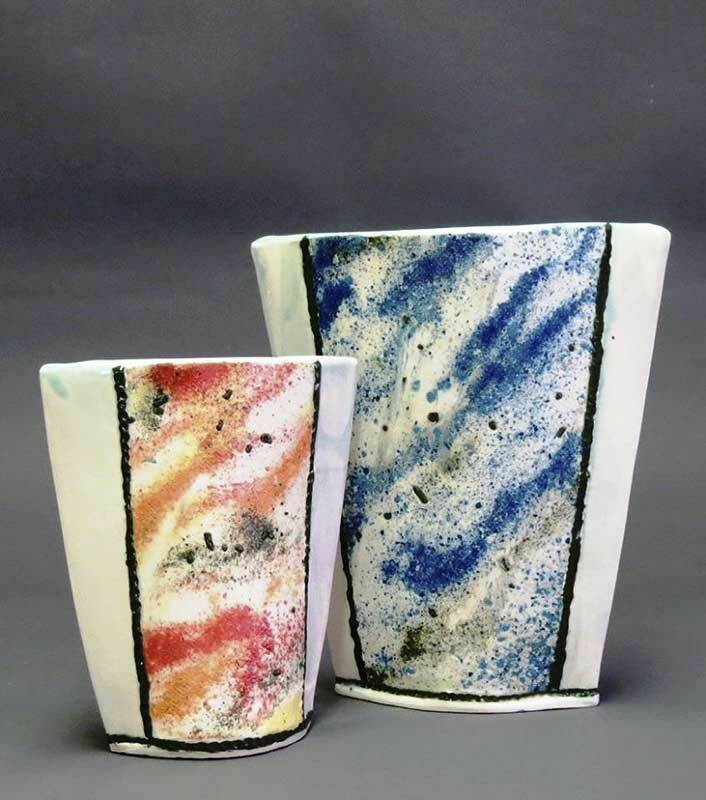 The pieces are glazed using a range of stoneware glazes and finished with platinum and copper lustres. 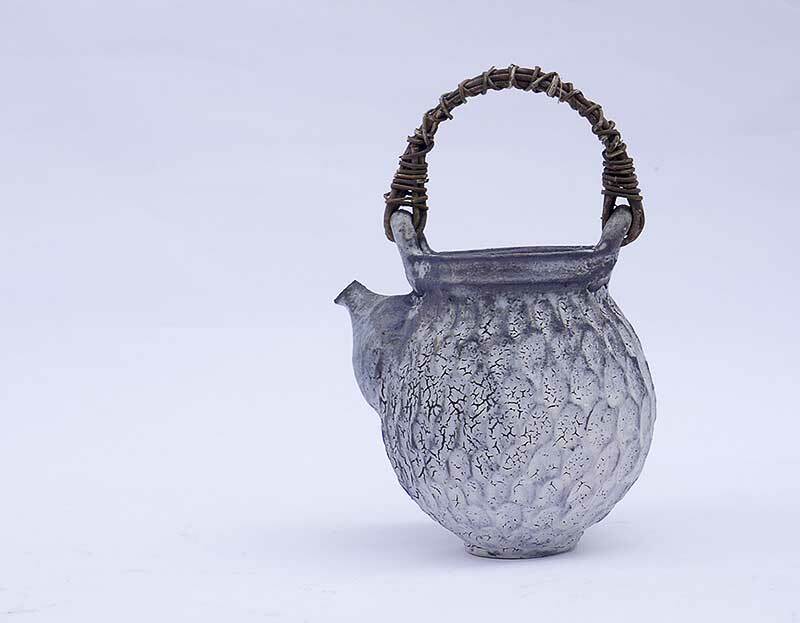 There is also a range of related vessels –primarily jugs and mugs featuring different fastenings. I am also developing a range of vessels and sculptural pieces inspired by landscape. 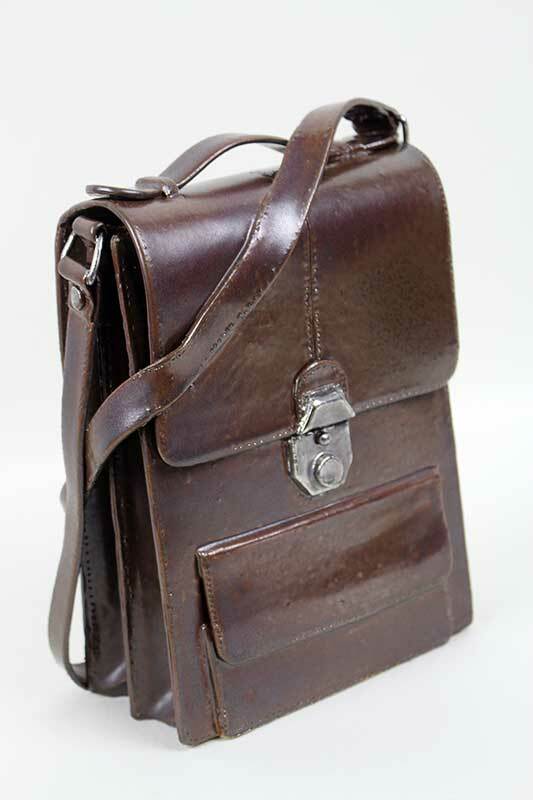 Originally from Japan, I obtained the degree of BA, Art and Design at Leeds Metropolitan University in 1999. 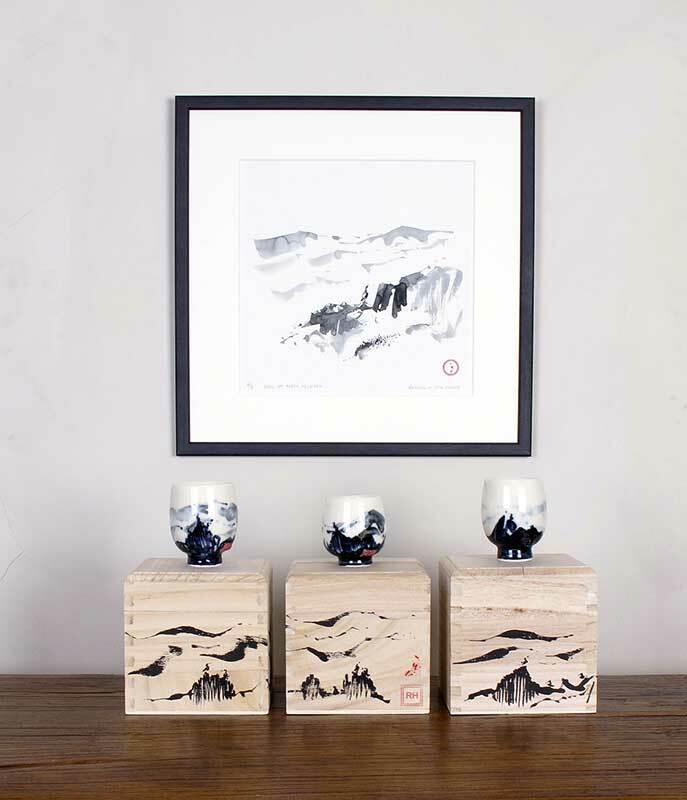 Oriental influences are strong in my clay work, which springs from my long involvement with Japanese calligraphy and Textiles. I express my feeling for nature and the human spirit in an abstract way, using calligraphy brushes to emphasize the spontaneous movement of line. I am interested in Photography as well. Mainly take landscape and nature. 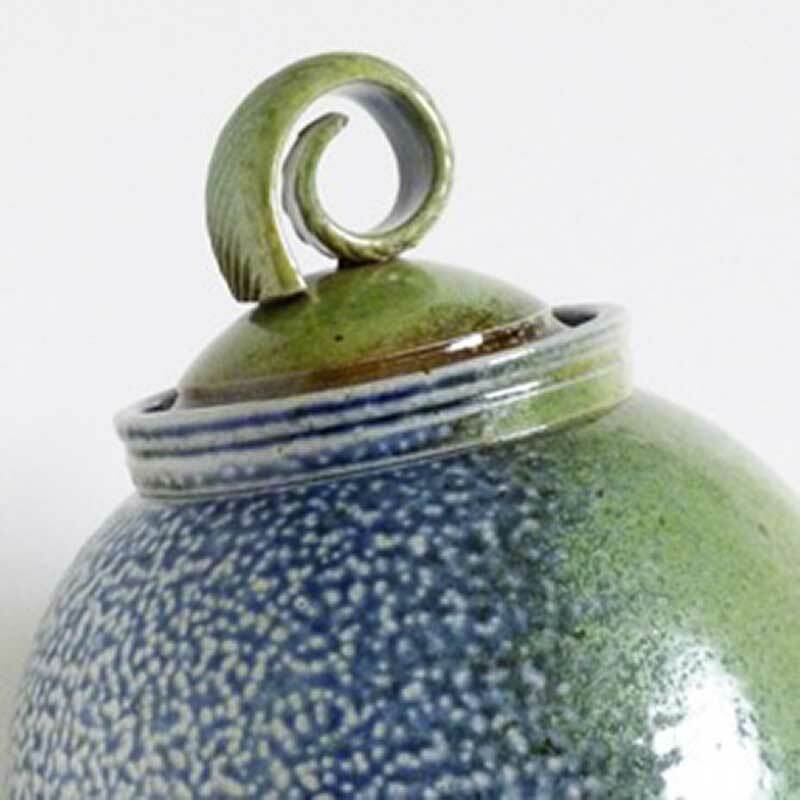 My pieces are selected from International Ceramics Competitions; the Fletcher Challenge in New Zealand; Mashiko and Mino in Japan. Invited to Summer- Workshops/ Symposiums held in Serbia, Japan, Slovenia, Turkey and Latvia since 2004 -2010. I have been visiting the North Wales coast of the Llyn Peninsula for over 30 years. These regular pilgrimages from my London studio are a ritual that is the foundation of my work. I spend these visits walking the coastal path and recording its textures, shapes, and structures. I try to capture the contrasting movements between the edges of the land and sea by using lines and brushstrokes that have a visceral quality. Painting on location in all weathers is incredibly important to capture designs that match the fluid quality of throwing and the fast slipped brushstrokes that I use. I believe the subject of landscape has a simple quiet affinity with the clay. I bring my sketchbooks back to the studio for development. 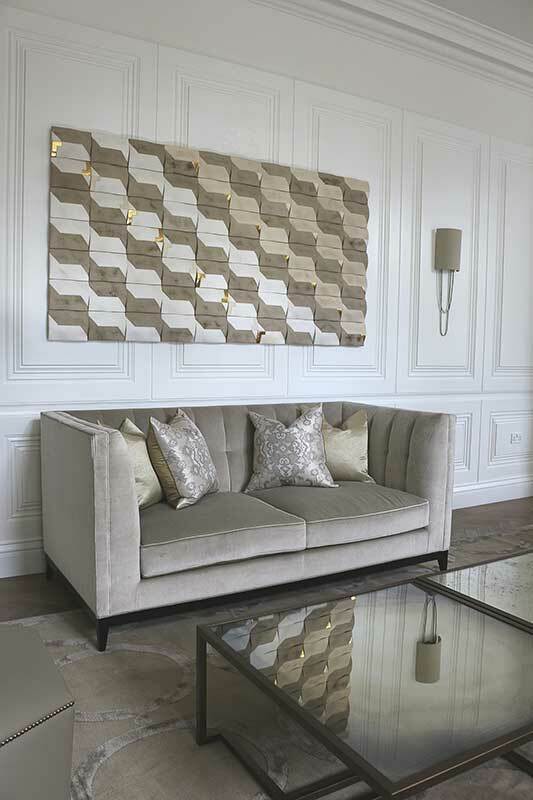 My aim is to refine and simplify the designs and to ensure that they work in harmony with the form. 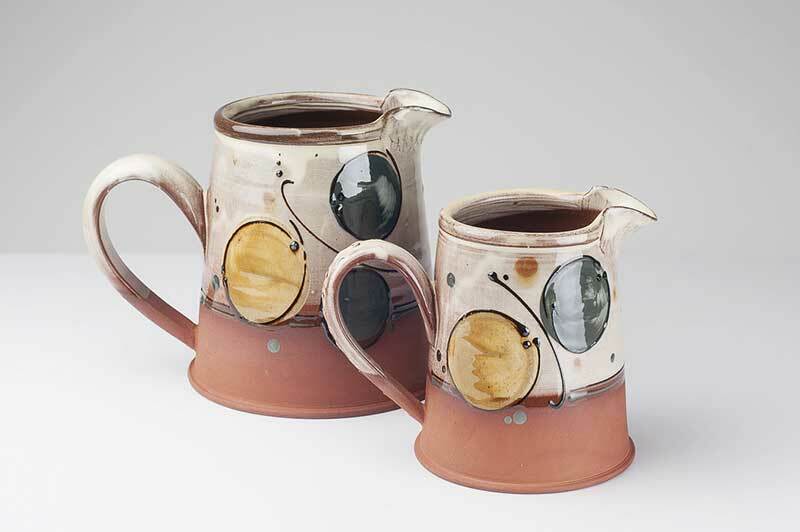 I high fire using oxidation and reduction atmospheres, which gives me a palette that ranges from natural stoneware tones to contrasting slips on the canvas of porcelain. 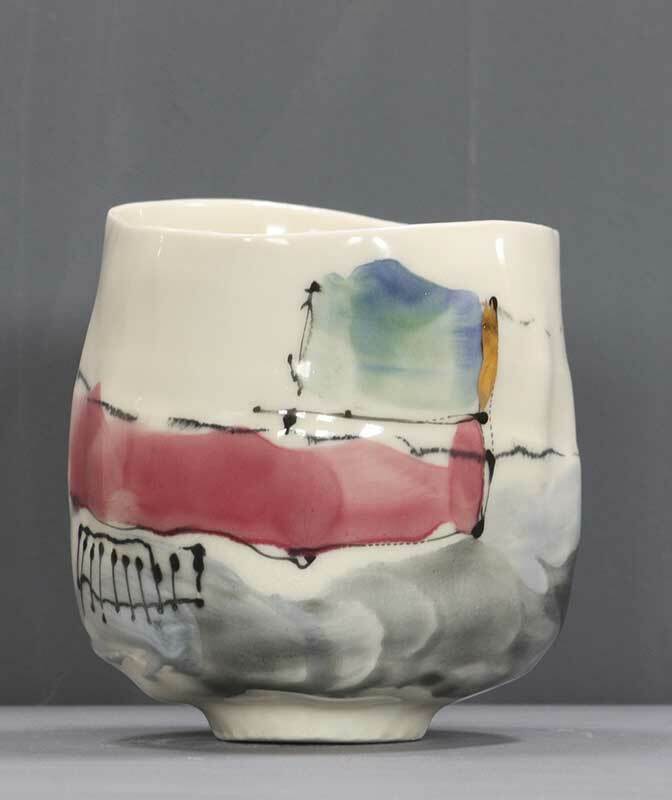 I enjoy a deep appreciation of Eastern ceramic traditions and let them influence my designs and techniques: stoneware glazes and forms from China, construction and firing techniques from Japan, and Korean brush decoration. I mix a range of cobalt and manganese pigments or ‘Gosu’, to use the Japanese name. I compose the recipes to produce a strong variation in tone and brush stroke quality. These slips are made from local clay dug from the sea cliffs, and occasionally with flake iron found on the beaches. I like to use these materials and other elements from the area to reinforce this narrative in the finished work. 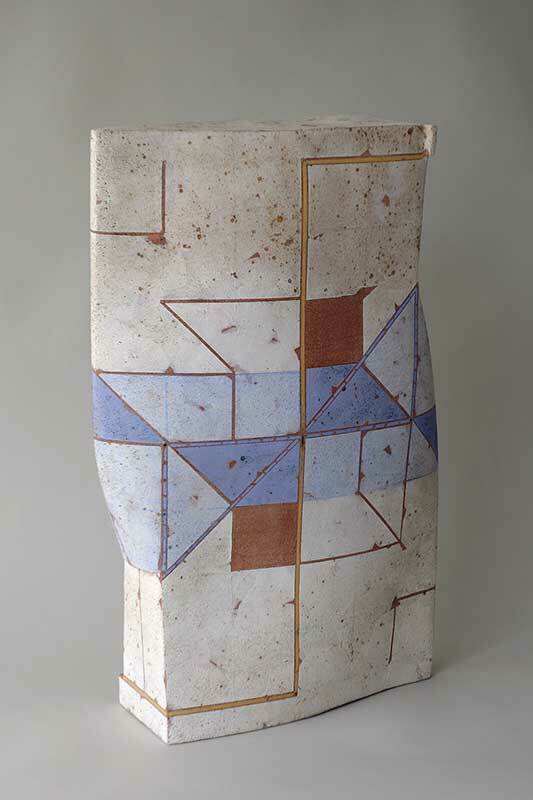 Regina Heinz is known internationally for her tactile ceramic sculptures with highly distinctive abstract designs. 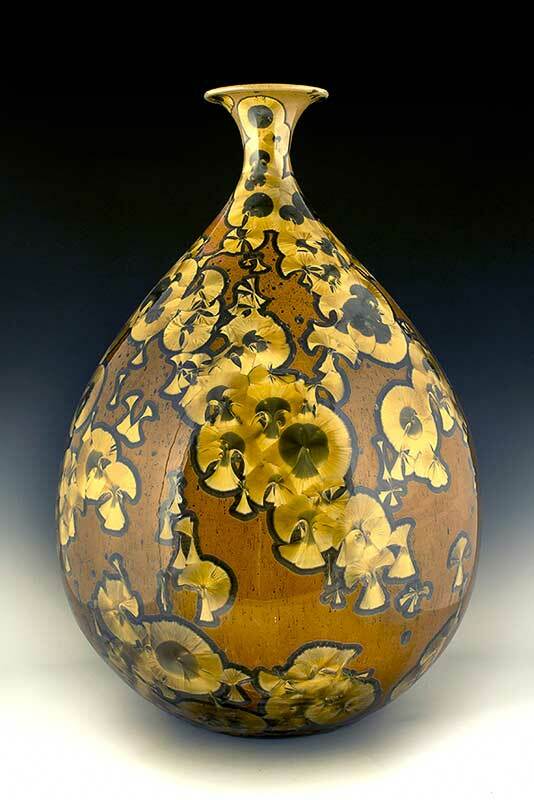 Regina studied Fine Art and Ceramics in Vienna, Geneva and London. Regina received funding from the Crafts Council to set up her studio in South-London in 1998. 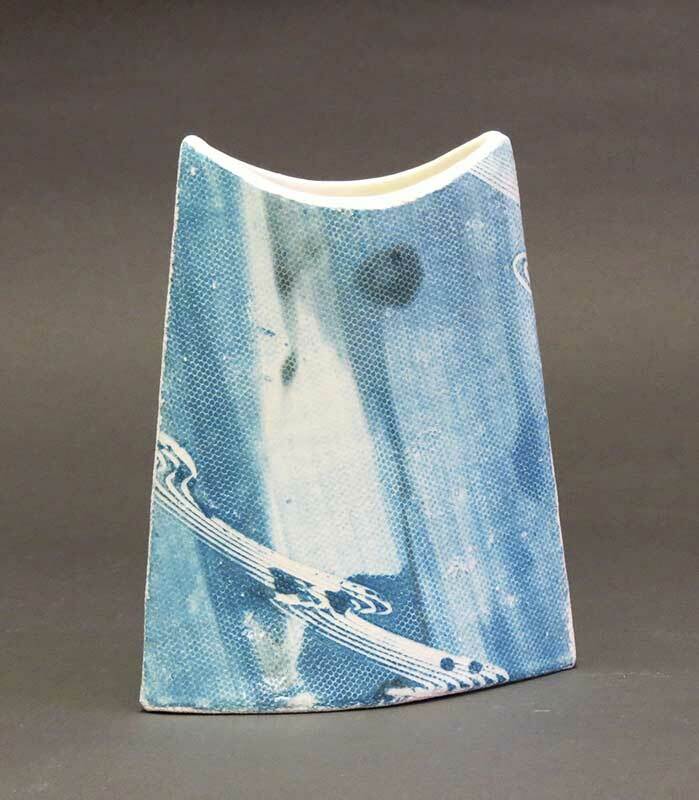 She is a Crafts Council Selected Member, a Fellow of the Craft Potters Association of Great Britain, and a member of the International Academy of Ceramics. 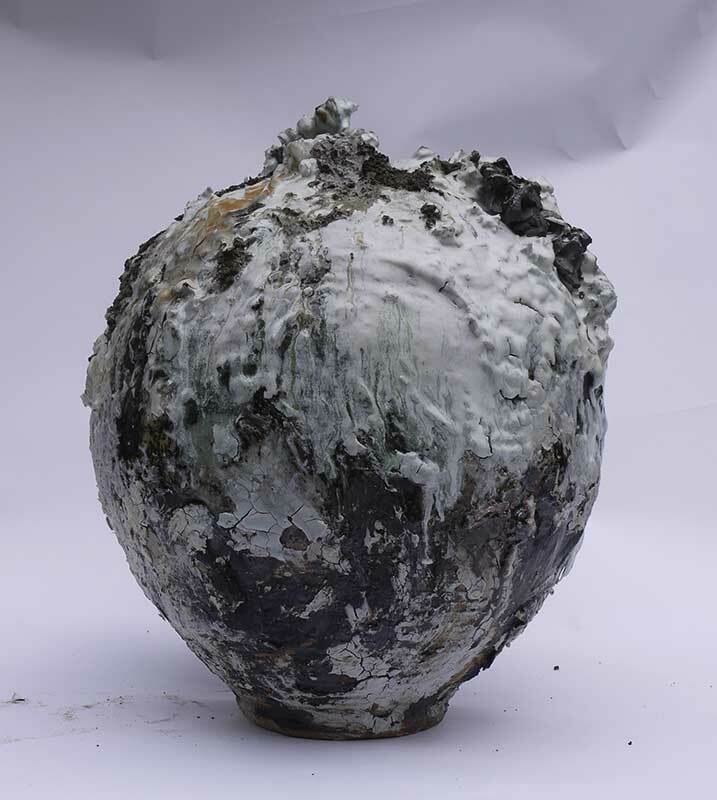 Regina Heinz has lectured worldwide, including the International Ceramics Festival in Aberystwyth, Wales. 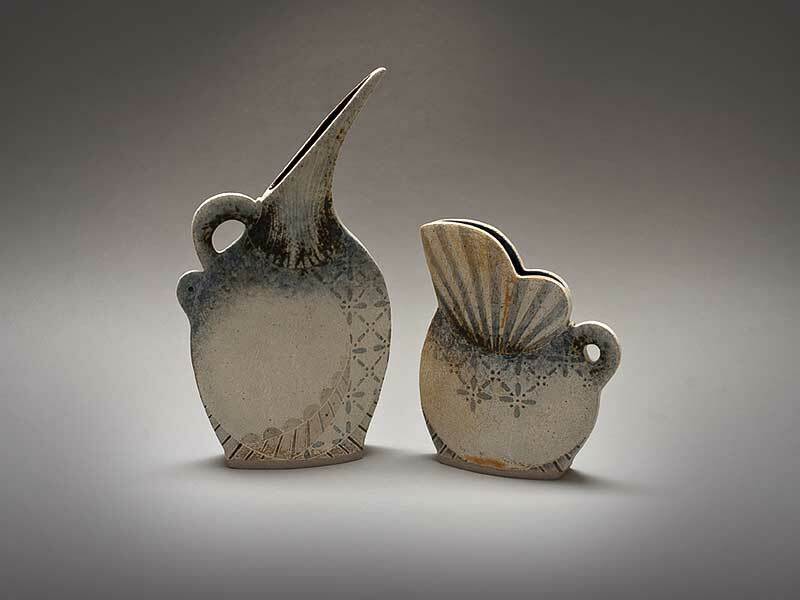 Water is a recurrent motif in Regina’s ceramic work, translated into fluid undulating forms and abstract flowing designs. 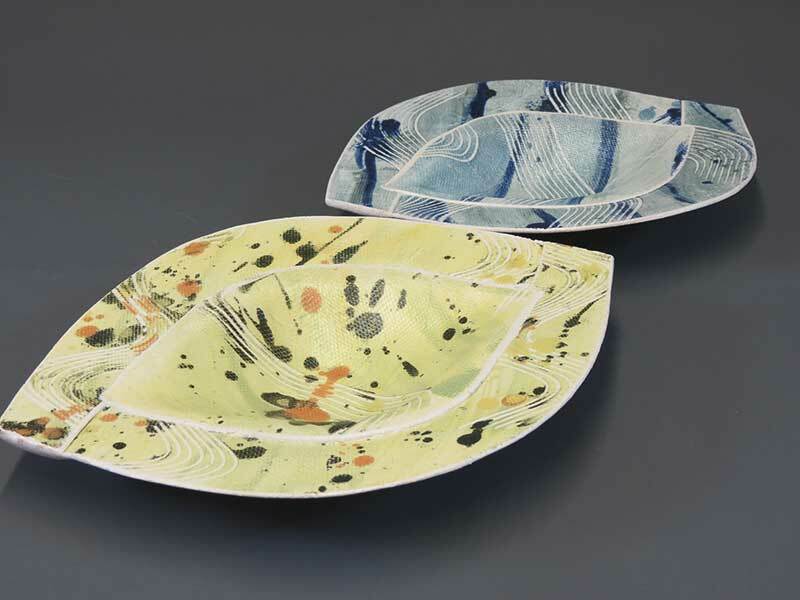 Her work is hand-built from soft slabs and decorated either with a low firing Lithium glaze (1030° C) or a high firing matte stoneware glaze (1245° C) that produces a beautiful fresco-like surface. Emmanuel Cooper, editor, curator and art critic, wrote of her work: “Regina’s pieces have a powerful sculptural quality and appear tactile and organic. The sensual curves of the forms suggest both the intimacy of the body and the flowing lines of landscape, though equally, they can be seen as purely abstract in dealing with line, volume, mass and colour”. 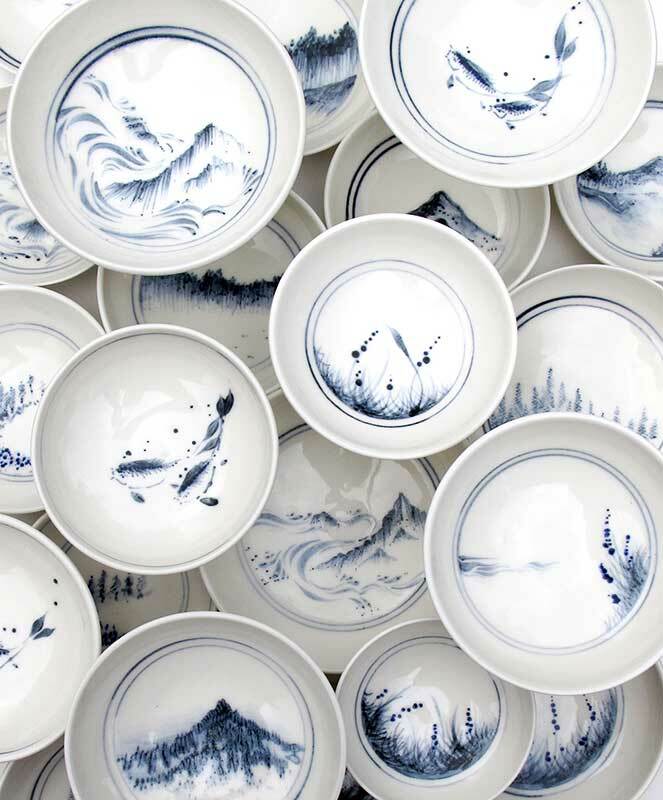 Her award-winning work is widely published and held in public and private collections around the world, such as the Fitzwilliam Museum in Cambridge and the Museum of Contemporary Ceramics in Gifu, Japan. 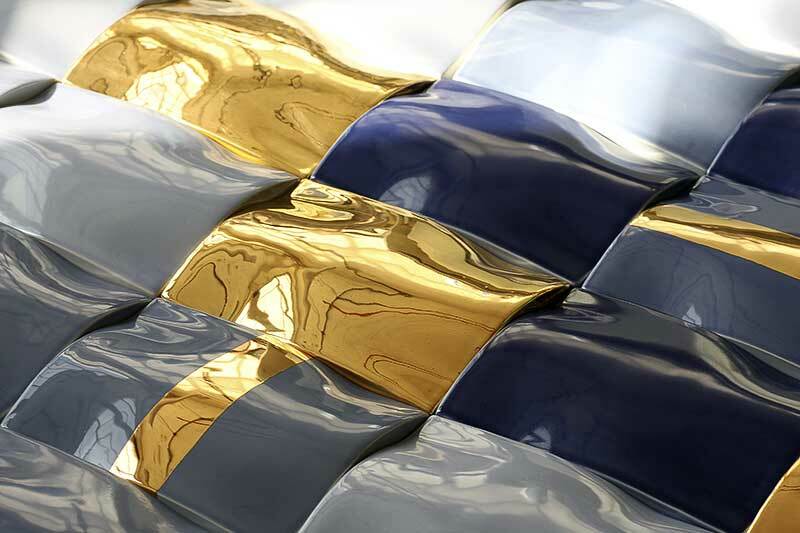 Regina has been specialising in architectural ceramics since 2011. Portfolio includes a bespoke art-work design for 2000 cabins for P&O’s luxury cruise-ship Britannia, launched in 2015. Combination of hand-builts and thrown ceramic ware (practical and decorative). The pieces are fired at Akiko's studio at the Chocolate Factory N16 in London. The studio opens to public twice a year. Accept visits only by appointment. 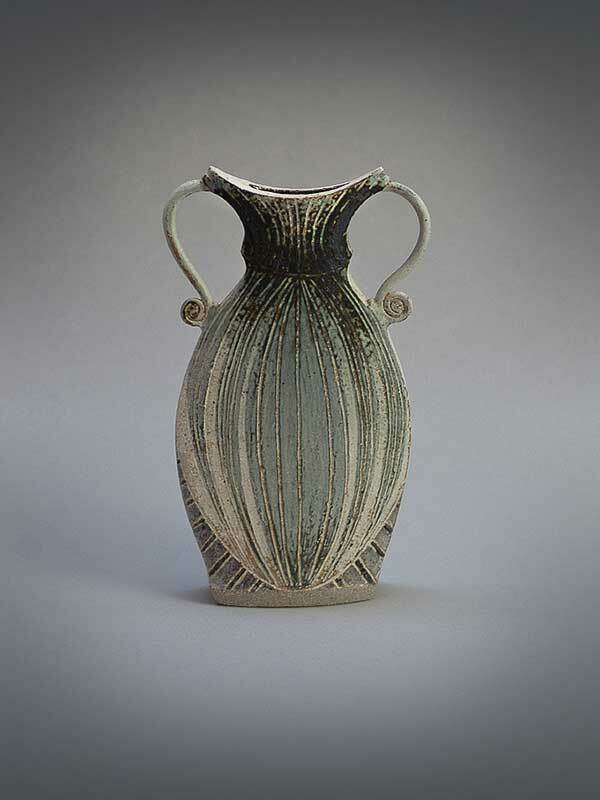 Terri studied ceramics at Cardiff School of Art graduating in 1981. For the past 20 years she has lived on the edge of Dartmoor near Bovey Tracey. 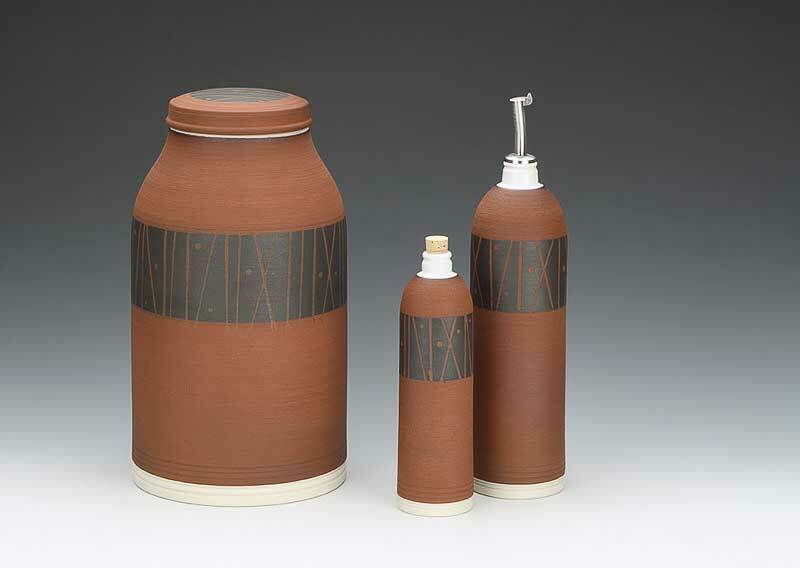 Terri uses rolled slabs of clay to make vessels that occupy a shallow space. When the clay is rolled, it is often impressed with found objects, giving patterns, grids or more random marks. The colour and surface quality is suggestive of the landscape that she is surrounded by. The drawn line is also important as is the delicate shading of colour to emphasize the illusion of a greater depth. The vessels are bisque fired then taken to 1260 degrees centigrade in a gas reduction kiln Some pots are then highlighted with enamels. 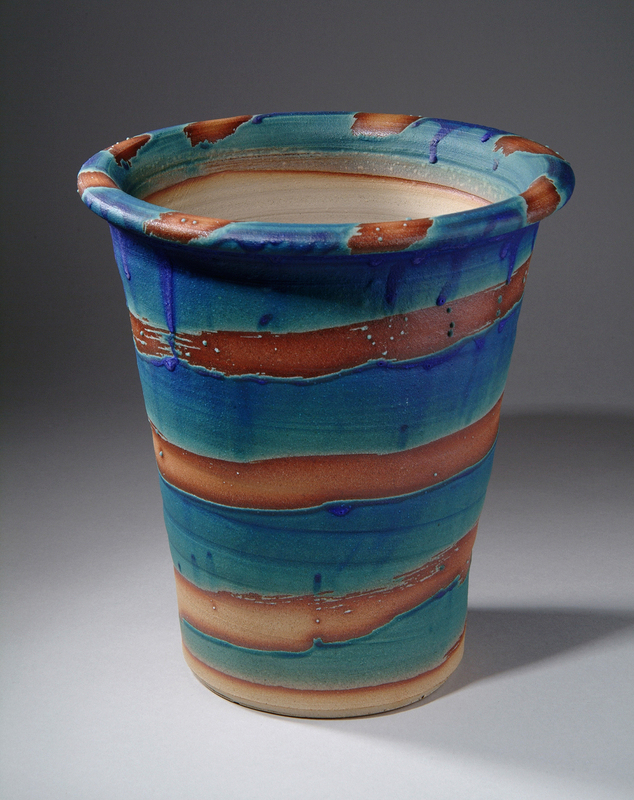 All of my pots are hand thrown in porcelain, or a very fine white stoneware clay. 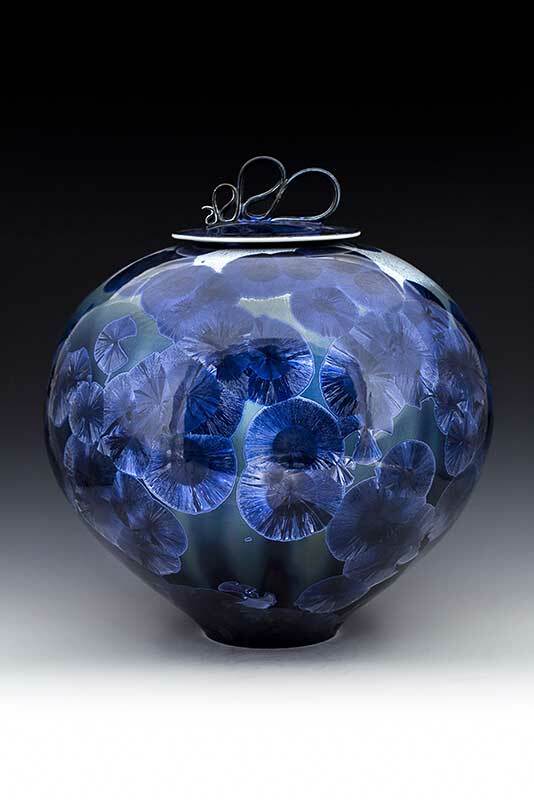 Crystalline glaze is very special in the fact that crystals actually GROW in the glaze during the firing. They grow randomly, making every piece completely unique. 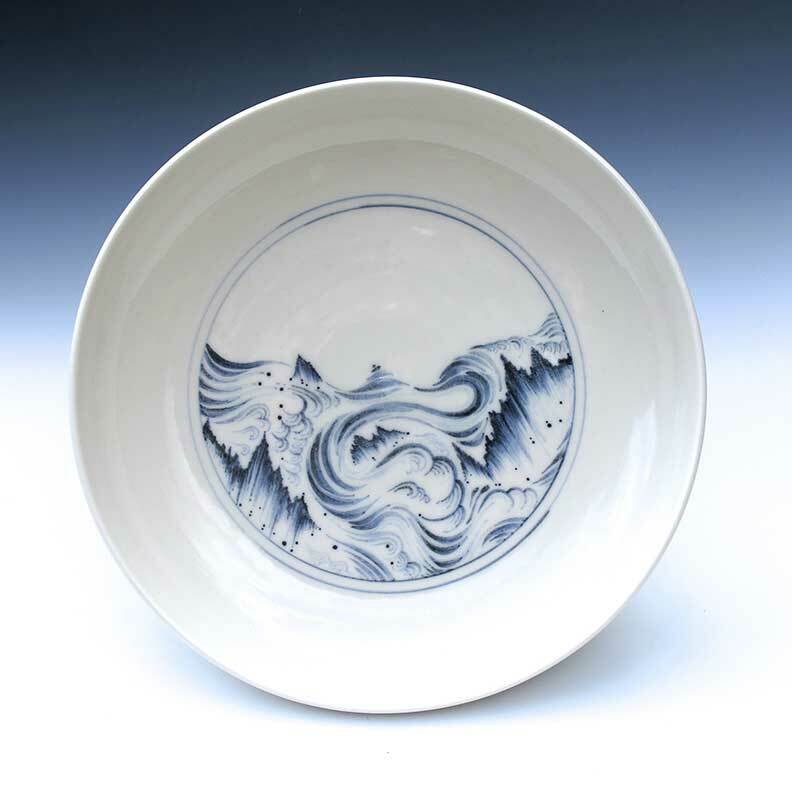 Crystalline glaze is very fluid at high temperatures, so the pot has to be placed on a pedestal and placed in a dish, to catch the runoff during the firing. 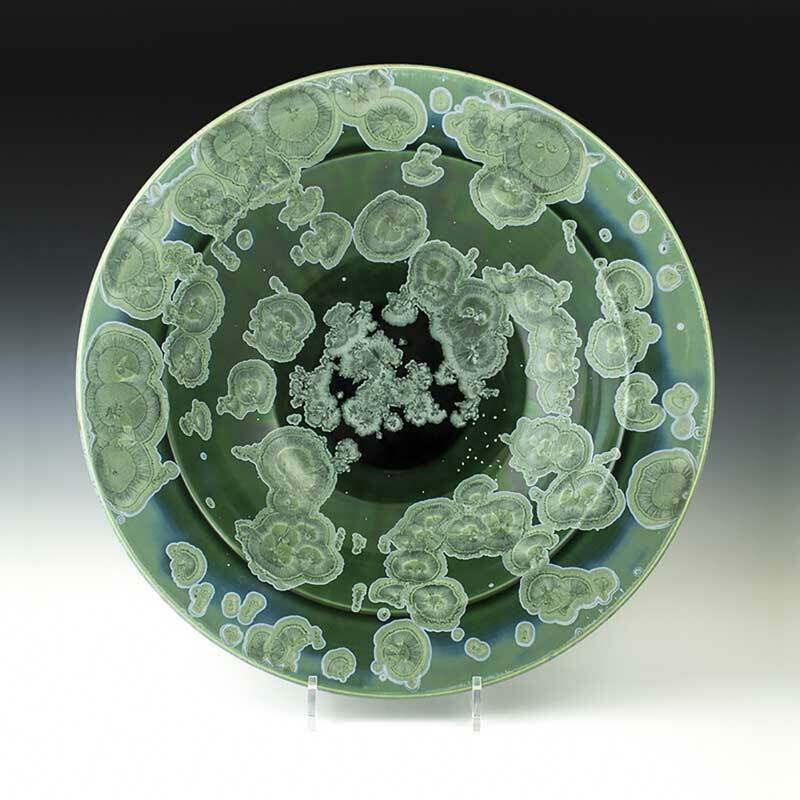 When the kiln reaches the maximum temperature (up to 1280c) it is then cooled to a specific holding temperature - this is the time when the crystals form in the glaze. The amount of time held at this temperature determines the size and shape of the crystals. When all has cooled down, there is the delicate operation of removing the pot from the pedestal and grinding the base smooth. Crystalline glazing is time consuming & expensive to produce. There can be many failures, but when all goes well the effects are stunning! 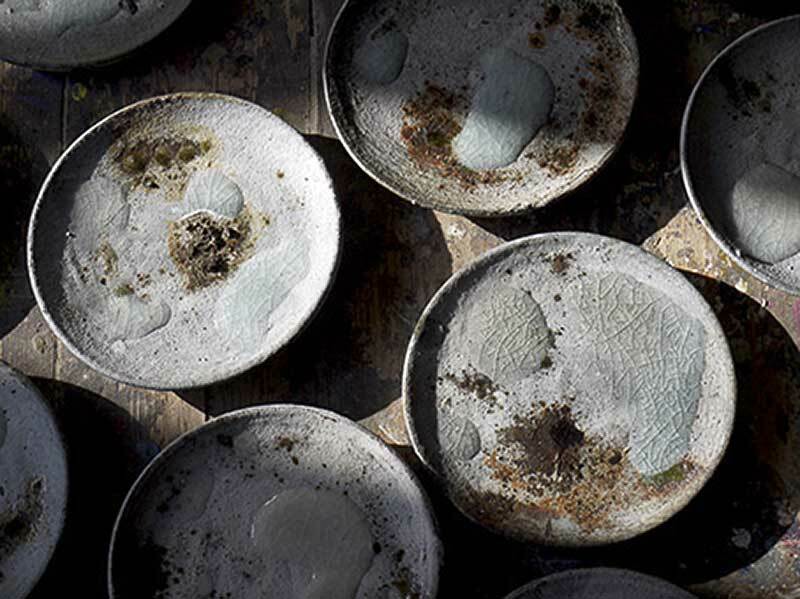 My current work consists of small batch production and individual functional tableware pieces informed by a strong interest in both ancient and contemporary ceramics and manmade patterns, textures and colours in local landscapes and architecture. I have a strong interest in materials and process, and continually trial new ideas, keeping my work moving and developing. I try to keep pieces simple, unfussy and contemporary, my intention is for them to be both visually appealing and a pleasure to handle and use. 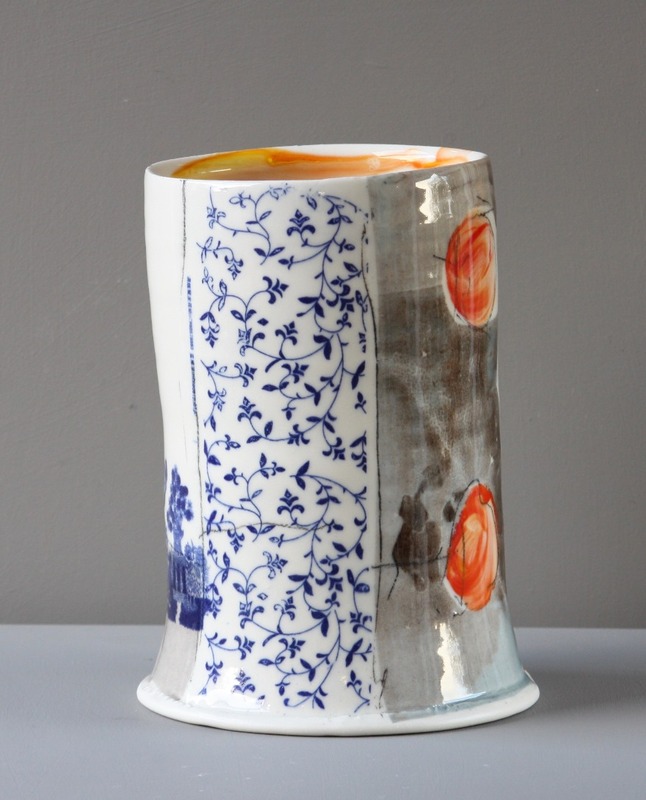 Current pieces are either Slip-Cast and altered, thrown or press moulded, in semi-porcelain and terracotta bodies. Coloured slips and decorative surfaces are added to greenware and a white tin glaze is applied after bisque. 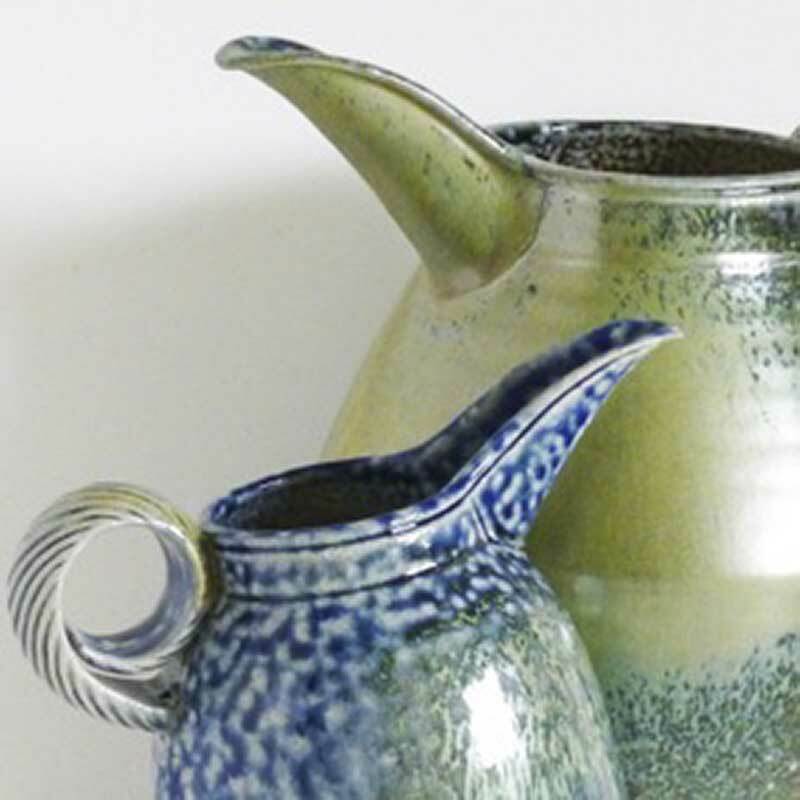 John Huggins studied Studio Ceramics at Harrow School of Art in the late 70's, and subsequently went on to open Courtyard Pottery in Swindon. 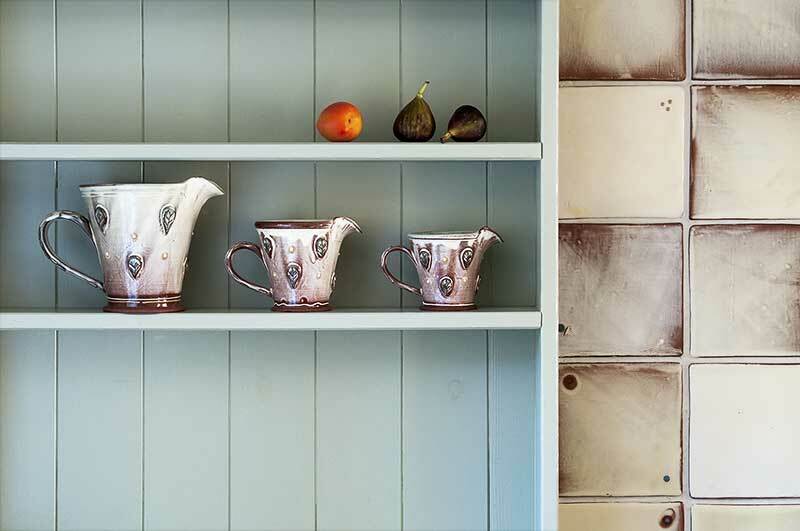 For over 25 years, he specialised in making a range of traditional hand thrown terracotta garden plant pots from his workshop. 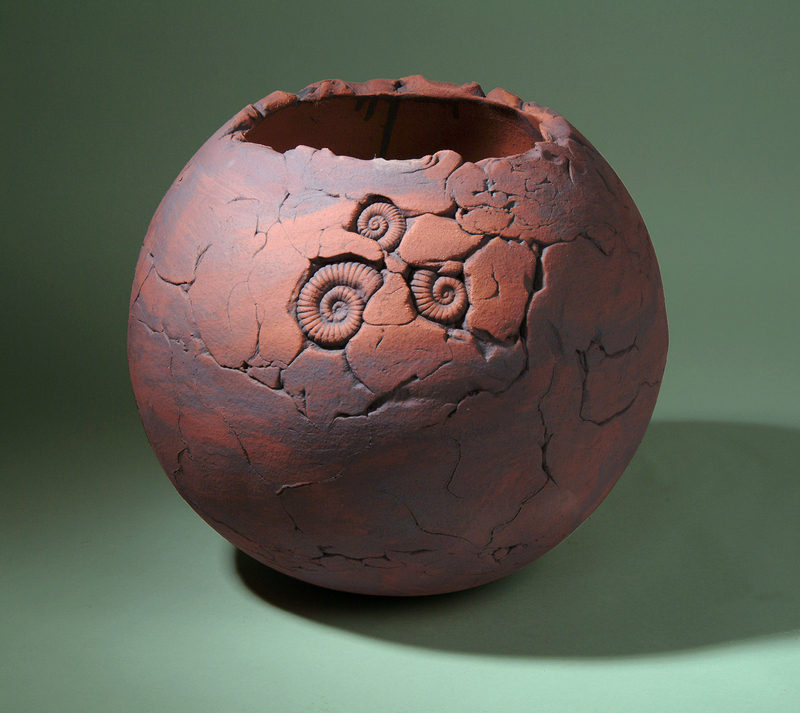 Mixing locally sourced clay with brickyard clays, he created robust and hardy pots. Long lasting, and weathered by the elements, their vitality and colour only seem to improve with age. 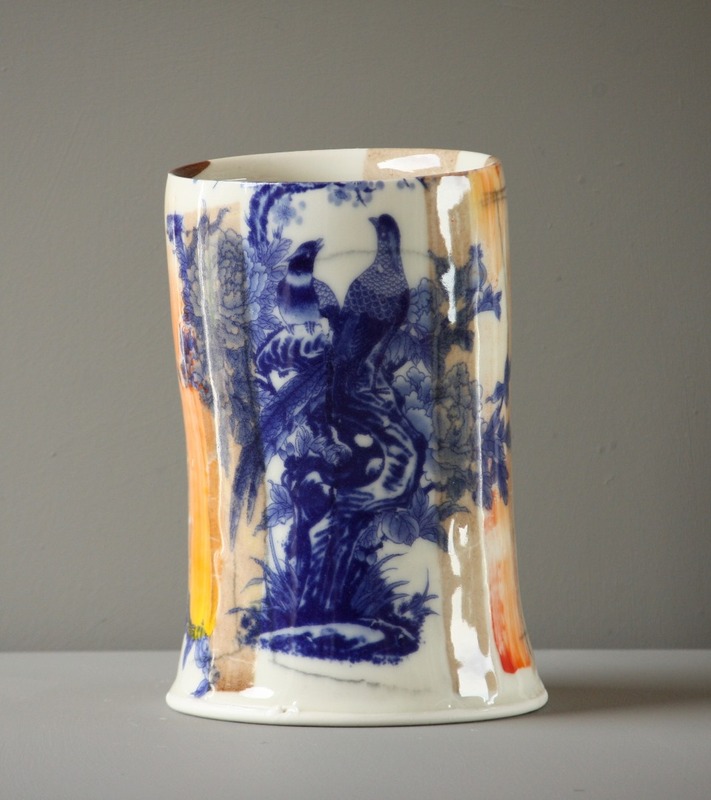 He since moved on to making more limited editions of press moulded plant pots and ceramics, both in terracotta and stoneware. 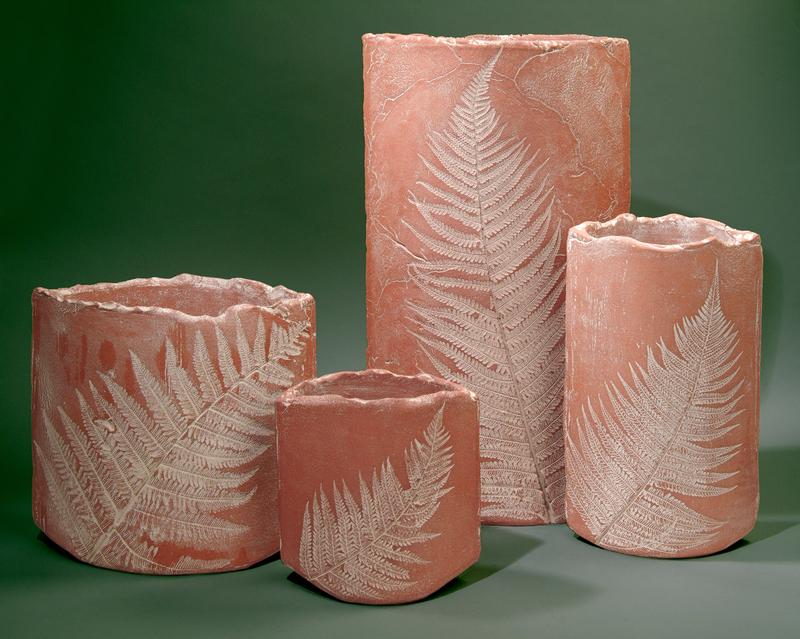 His Fern Pots, Sphere Planters, and Landscape Pots combine elements of nature and geology in distinctive, yet functional forms. 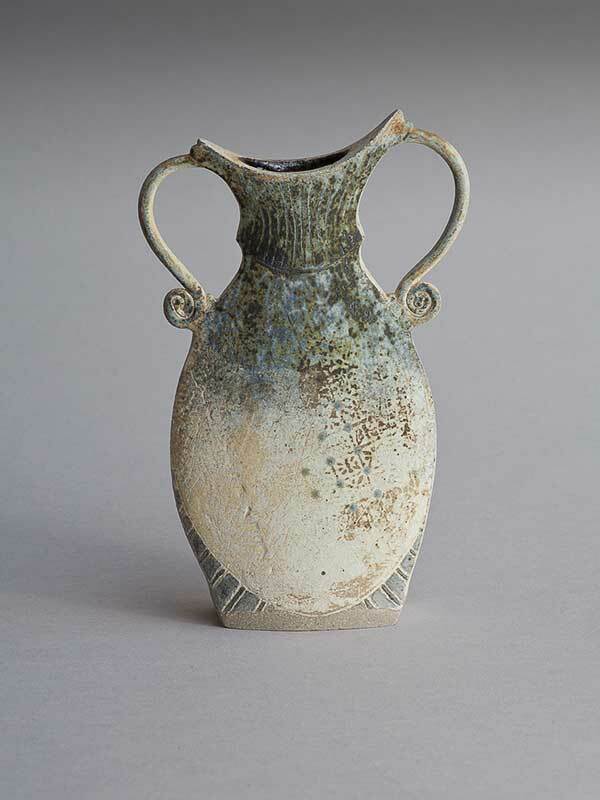 The use of oxides and coloured slips highlight texture and surface features in the clay. For many years John exhibited his work at RHS Chelsea Flower Show. 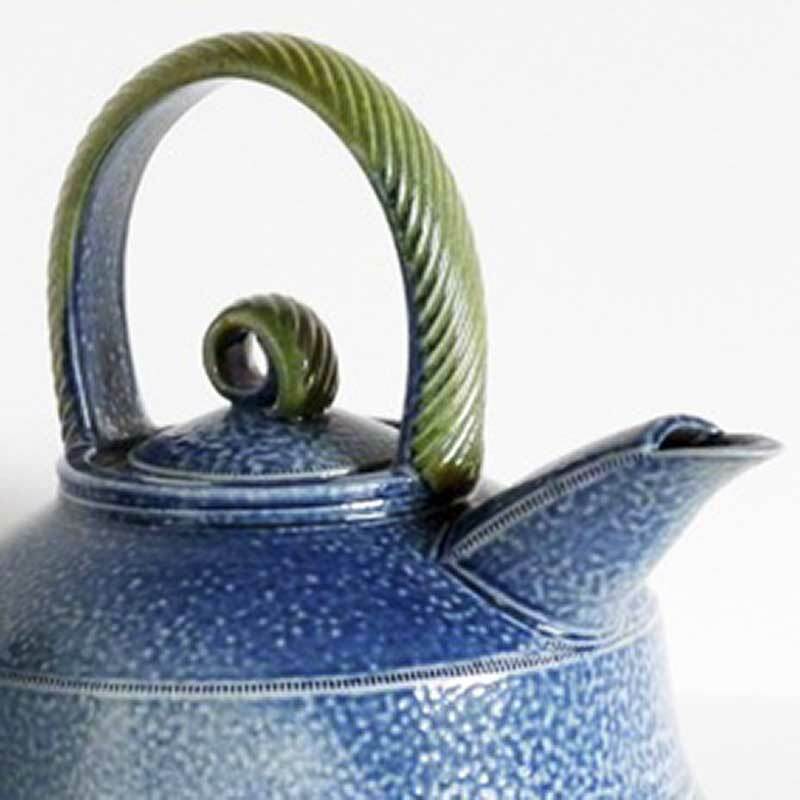 In 1995 the workshop moved to the Forest of Dean, Gloucestershire and became Ruardean Garden Pottery. 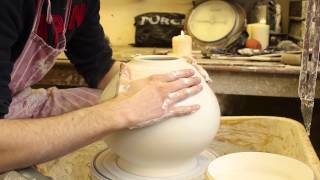 Now, he concentrates on teaching throwing on the potters wheel, holding a variety of classes every month, for all levels, from complete beginners to experienced throwers.